View all 28 photos below. *** GULF FRONT UNIT *** Price reduced $26,500!! Spectacular Gulf Front Views from this spacious 3 bedroom 4th floor condo. Condo features 9 ceilings, crown molding, 18x18 tile, designer light fixtures, separate laundry room with full size washer/dryer, owners closet, 8 ft. deep balcony and private exterior storage. Refurbished in 2015 with new paint, furniture, and many new appliances. Kitchen features granite countertops, tile backsplash, Canac cabinetry, stainless steel appliances and pantry. Master bath features double vanity with granite countertops, separate shower & whirlpool tub. 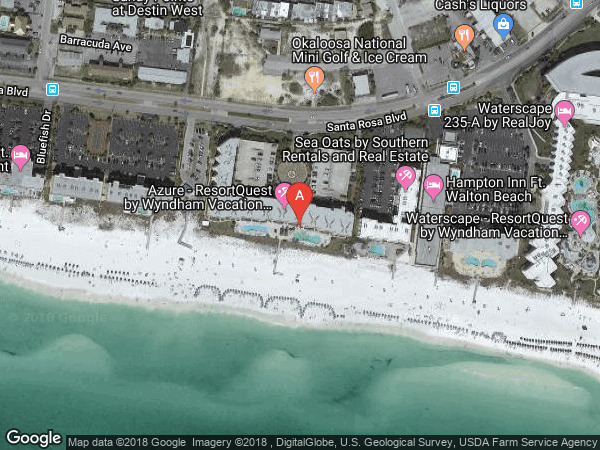 Resort amenities include 515 feet of beach, large pool deck with large gulf-front pools(one heated in winter), 2 hot tubs, covered and secure parking. Over $60,000 income in 2016 and 2017. Tile work being done on master shower. Hwy 98 to Santa Rosa Blvd. 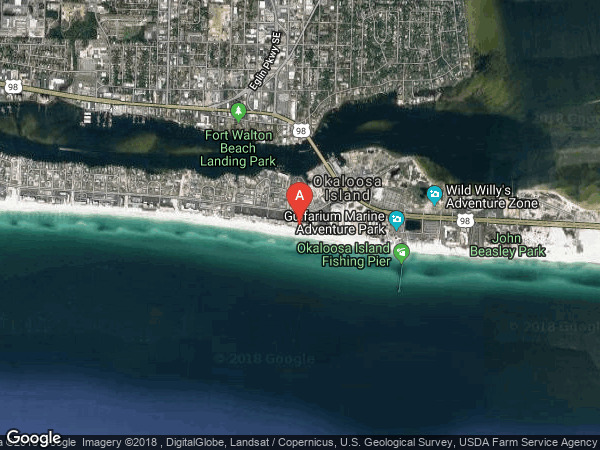 (Okaloosa Island), Azure is 5th building on the left.